What's that? You want more free music? Well, then, this is the podcast for you! This week, I'm putting the spotlight on not one, but two free compilations! On the one side, our friends at Cold Busted Records in Los Angeles have done it again with Bust Free 19, the latest in their series of free albums. 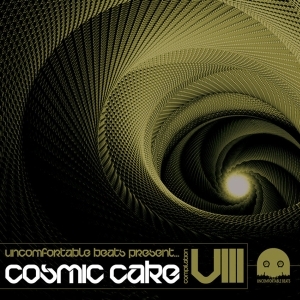 On the other side, the Uncomfortable Beats crew down in Melbourne, Australia, bring us Cosmic Cake, one of its best free collections yet. All the music you'll hear in this week's show comes from those compilations, both of which you can download for free from Bandcamp! Be sure to add both of these to your music collections. Click here to download Bust Free 19. Click here to download Cosmic Cake. Congrats on the wedding, all the best for the future! My favourite track… gosh. I know it’s not this year, but the one that really sticks in my mind is the opening from show #271, “Tempermental” from RJD2. So good I bought the album. So good I remembered it’s name, which is very odd for me. Thank you Dave! Your efforts are SO appreciated by us, so much more than you will ever know. Thrilled your getting married. Congratulations. Dave: BenJamin Banger, “Noise” was my favorite. Thank you for including it. Thank you for your weekly podcast. I enjoy them very much and look forward to your podcast each week. Hi Dave. First congratulation on getting married -that is amazing! Once more you put together great year of music. But I keep circling around G (feat. Genevieve), “Outer Space” as one of my favorite tracks this year. Congratulations on the wedding! I hope you had a wonderful honeymoon. My favorite track for this episode is in agreement with Mulliga, it’s Mojo Rising, “The Chills”.